When Max Levchin was 10 years old and growing up in Communist Ukraine in the mid-1980s, his parents saved up to buy him a junior-size road bike, a rare luxury, and his mother, a cycling enthusiast, taught him how to ride. His family happened to live in an apartment complex that stood behind Kiev’s only open-air cycling track. At night, Levchin would sneak into the closed facility, pedaling around the oval, counting each completed lap in his head as he tapped out a steady rhythm. In the darkness of the velodrome, the only sound he heard was the whirring of his chain spinning the cogs on the back wheel of his bicycle. Nearly three decades later, Levchin still rides, not in a velodrome, but in the California hills. Numbers continue to speed rhythmically through his mind, powering the engineering genius of his work and the data-driven cyclist he has become, logging between 200 and 300 miles a week, often over the steepest hills he can find. And while his state-of-the-art carbon-fibre road bike is a world away from the steel racer he’d ridden as a boy, Levchin’s passion for cycling has only intensified. Every day, the 39-year-old entrepreneur — who has multiple hits behind him and more startups now in early stages — competes only against himself. I have no business riding with Max Levchin. This thought flashes through my mind as I watch him pedal away from me. Having pushed off at 7 a.m., we’re not long into our ride on a cold mid-November morning, and he’s already dropped me on the first climb, Camino Alto. It’s a quiet, leafy ascent in Mill Valley, north of Levchin’s adopted hometown of San Francisco. Camino is not a particularly hard climb, but he’s pushing 400 watts and I’m pushing myself into oxygen debt. Eventually I crest the summit and find him waiting on the side of the road. He’s standing over his bike, tapping the display of his cycling computer. It looks like he’s not even breathing. A pattern emerges. We hit a climb, Levchin blitzes up the hill, I do my best to chase him, and he soars out of view. He waits at the top, I roll up, and we bomb the descent. We match pace on the flats until the next climb, and the cycle repeats itself. Perhaps the hardest thing about doing this ride, known locally as Paradise Loop, is not that Levchin is out-climbing me, which he is, but that he’s so nice about it. Over the course of our ride, he takes the time to tell me about the local roads, all of which he knows intimately. He points out potentially wet or dangerous grates and manhole covers. If he were a jerk and this good on the bike, I could easily dislike him, but he’s not. He’s just very fit and surprisingly laid-back for a star of Silicon Valley. It’s hard to not like him. Two days before our ride, Levchin — the serial entrepreneur who cofounded PayPal and the game maker Slide, and joined Yahoo’s board at the behest of CEO Marissa Mayer — agrees to meet me at his office in downtown San Francisco. There he works on one of his latest startups, Affirm, which aims “to remake consumer finance from the ground up.” It’s a casual, open-space office. Levchin is wearing sneakers, jeans, and T-shirt, and he greets me with a bar of dark chocolate and iced coffee. As we sit down to chat, he opens by saying, “I’m completely obsessed with cycling. It’s the only sport I follow.” That means keeping close tabs on everything from one-day classics like Paris-Roubaix and track racing, to cyclocross and the grand tours such as the Tour de France. That, thankfully, puts us on slightly more equal footing. Technology is not my beat, but as a journalist I have been to the Tour and Milan-Sanremo and the Tour of California and other world-class bike races, and I’ve pedaled a road bike since I was a teen, too. Over the years, Levchin and I have both done our share of racing in the amateur ranks, but three years ago he crashed hard at 40 mph. This “pretty permanently” injured his right hip and more or less put an end to his racing; about the same time, I wiped out on a mountain bike, breaking bones in my left leg and ankle. I, too, am pretty permanently injured, thanks to an initial misdiagnosis that, in the end, had me wearing a cast and confined to a couch for nearly a year. Bouncing back from those crashes is something we’re both tackling, though his gruelling daily regimen is a tough one to match. levchin.comPayPal cofounders Peter Thiel and Max Levchin on Feb. 15, 2002, seconds after the stock market close on their IPO day. Said Levchin: ‘Peter and I are crowned — the party is really going to start now.’ He’d made his first fortune. But it was a few months before he decided he was ready to take up cycling again seriously. He used to be good at it, he says, and now had to deal with being “fat and slow on the bike.” He didn’t want the frustration of not being able to fly up hills. As I would learn, Levchin doesn’t care for moving slow. He tackles climbs just as he appears to do business: deliberately and efficiently. Throughout the 2000s, Levchin pursued cycling while he was building Slide and helping with the launch of Yelp. Then, Google bought Slide, in 2010, for an estimated $US228 million. The following year, Levchin came up with a new project: win bike races. Levchin uses a cycling computer, power meter, heart-rate monitor, and cadence sensor, which tell him elevation gain, speed, distance, heart rate, cadence, power, and more, all in real time. There’s a GPS feature that maps his route, too. 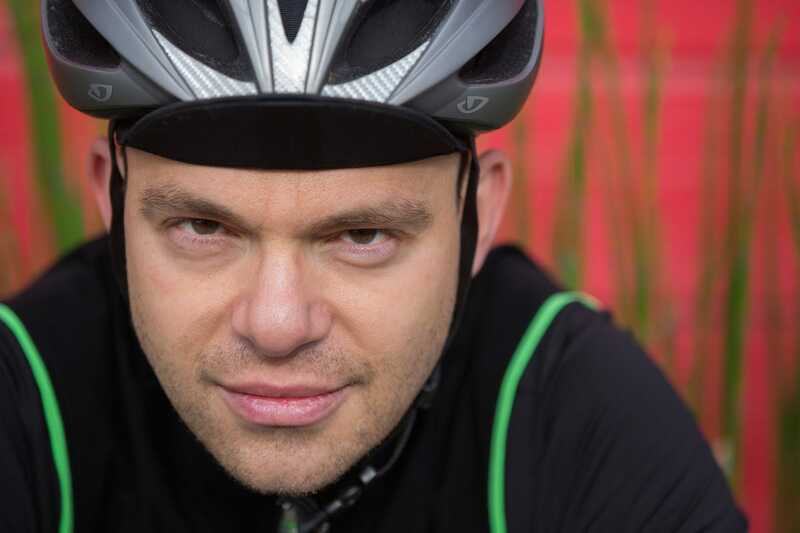 For all his passion for two wheels, it isn’t just pedaling Levchin loves. He also thrives on data and information. It’s helped make him who he is, quite literally. (As PayPal’s chief technology officer, he revolutionised the payments system and developed breakthrough antifraud technology.) After hanging out with Levchin, even for a few hours, you get the impression that no matter what he’s doing, he can’t go long without some sort of numbers to process. Today, cyclists like Levchin have loads of performance information at their fingertips, and quantifying training intensity and recovery is much easier to do. Many amateur athletes, and almost all the pros, have power meters attached to their handlebars, as does Levchin. 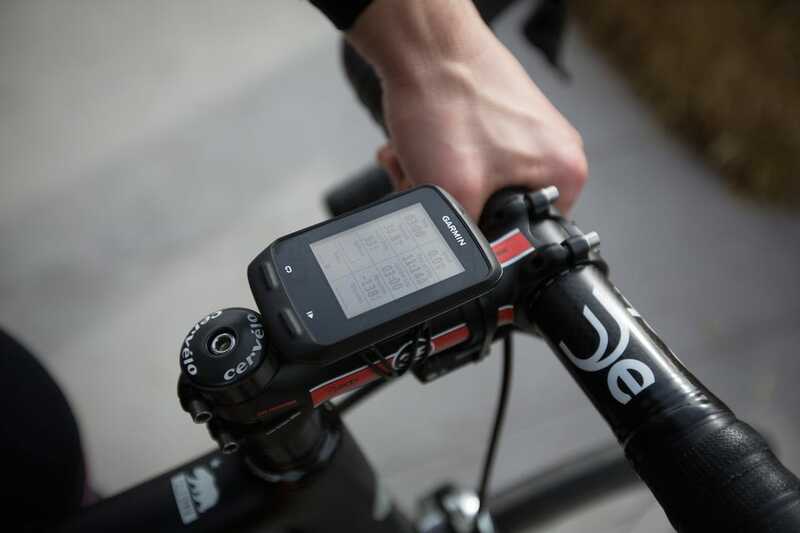 One of his favourite tools that he syncs with his power meter is Strava. Used by cyclists and other endurance athletes around the world, the Strava app allows you to record your speed, elevation gain, calories burned, power output, heart rate, and more, and then share it online and compare notes with others. A popular feature on Strava is the KOM, or king of the mountain. When you climb a hill, or a “segment” in Stravaspeak, faster than everyone else, you become the king of that climb. That is, until someone pedals up faster and knocks you off. Strava’s headquarters are in San Francisco, not far from where Levchin lives and works. 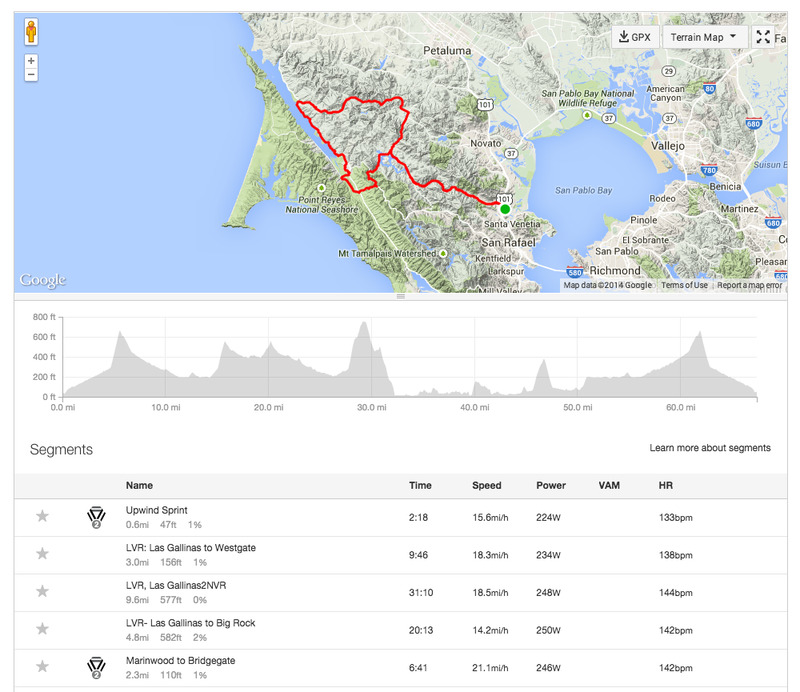 The day Strava launched in 2009, Levchin signed up as a paid “premium” member. He encouraged his friends to start paying for the service too. “I was like, ‘You don’t want this thing to shut down,” he recalls. “I’m a big fan of products where I’m passionate about the experience, so I’m happy to pay for it. I think Strava is doing fine now.” (That’s true: In October, Strava raised $US18.5 million in Series D funding. It also hired venture capitalist Michael Moritz of Sequoia Capital as an adviser.) 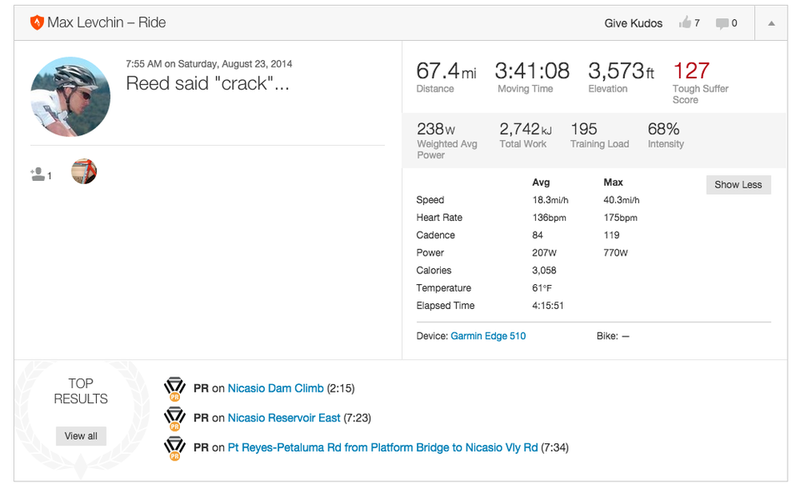 For data-driven athletes like Levchin, Strava is a must-have. Strava/Max LevchinThese screen shots show Levchin’s Strava files from a ride he did this summer with his friend Reed. “My No. 1 competitor is me,” he says. “In the end, the trick of convincing yourself that you’re still good because your buddies are having a bad day and you’re killing them only goes so far. Strava is the source of truth, where you upload your ride and say, ‘Hey, my power up this hill was 5% less than it was last year, when I set my personal record. My heart rate is a bit higher.’ There’s no one to blame but you. With the most popular KOMs on Strava, he knows the top riders are pros, but still he’d like to get as close to them as possible. Still, even Levchin admits that in both entrepreneurship and cycling, sometimes you have to know when to give up. “In a bike race, if you know you’re not going to bridge to the front group, you don’t want to burn yourself, because you know there’s another race tomorrow,” he says. “In entrepreneurship it’s the same thing: You can spend five years trying to find an elusive market that doesn’t exist. The parallels are fairly frequent, but the one that appeals to me the most is this getting through the barrier of ‘I just can’t do it anymore.’ That’s just not an option. It’s very true in bike races, and it’s very much true in entrepreneurship. Whereas some people might burn out with so much data passing through their reptilian brains, Levchin can’t seem to get enough. And that can be a problem: All the data he picks up feeds into his tendency to over-train, and it’s hard for him not to work hard. He even gets annoyed whenever he has to ride slow. He recalls a recent workout at home on his indoor trainer. It was supposed to be a recovery workout during which he’d go easy, give his body active rest, and spin out lactic acid. But after warming up he found himself looking at his power meter, which read 190 watts. He decided that was pathetic, so he pushed harder and was soon at 250 watts. Not long after he was hammering at 300 watts. He literally could not pedal easy. “It’s very easy to be very focused on one thing,” Levchin tells me. “If you’re focused on being the best cyclist you can be, it’s easy to deprive yourself of conversation, food, wine, whatever it is that interferes with being the best cyclist, because you need your eight hours of sleep and your carefully measured calories. Levchin used to ride every other day outdoors and the rest on the indoor trainer. These days, he typically does five days on the trainer and “sneaks out” for longer rides on the weekend. That, in part, is because he and his wife, Nellie, now have two kids. Riding with Levchin reveals his intensity. When he wasn’t pushing it on the climbs, we sprinted for town signs. When a magnet used for his computer’s sensor became dislodged from his chainring, Levchin, the meticulous engineer, spent several intense minutes to try to fix it on the side of the road, as if he feared he might miss the opportunity to capture some ride data. Our three-hour ride ends at one his favourite coffee shops. Levchin checks his computer to see how far he’s ridden, and checks his phone to see who has been texting him. He’s got a little more time to ride, he realises, before he and Nellie take their kids to a party that afternoon. I’m cooked, and I’m content to sit in the sun and sip espresso. Sure enough, Levchin tells me he’s going to take a quick spin up and over a nearby climb and that he’ll be back shortly. I watch him reset his computer for his next workout, and off he goes. Inside 30 minutes Levchin returns, with the extra climbing workout done. As we head back to San Francisco, over the Golden Gate Bridge, he’s already talking about his next ride. “For someone as competitive as I am — foolishly competitive or correctly competitive — it’s sometimes hard to reconcile having a family life and a great experience with my friends and a nice meal with a great glass of wine, and the prioritization is pretty hard,” he says.